This past Tuesday, myself and one our parishioners by the name of John, began a six-week Lenten reflection series based on the book, Seven Words of Jesus and Mary, by Venerable Archbishop Fulton J. Sheen at Saint Mary Magdalene Catholic Church. This idea of offering a book study during Lent came to me one night about three weeks ago, and after getting approval from my Pastor to run the series, John and I were off and running. The series is part of our Porta Fidei (Door of Faith) adult faith program which is overseen by me as the Director of Adult Evangelization and Catechesis. Also part of the program at this time is our weekly Saturday Morning Speaker Series and the Jesus Shock Follow-Up and Discussion, which concludes this Sunday night, March 16. It’s my hope to share with you each week some of the great quotes from the book that we chose and shared with the participants. Archbishop Fulton J. Sheen was a master of not only the spoken word, but the written word as well. The Seven Words of Jesus and Mary is the perfect book for the Lenten Season since it takes the words of Mary from the Scriptures and unites them to the last seven words of Jesus on the Cross. 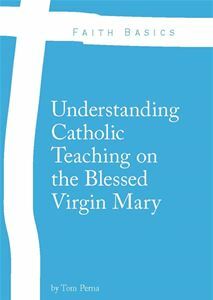 I would really encourage you to purchase the book this Lent and begin reading it. It’s fantastic! Next Wednesday I will post the quotes from Week 2. If you are in the Phoenix Metropolitan area and would like to come to the study, feel free to contact me at the parish.